Adoption commitment for Dewey: November 20th, 2011 by Kerri’s friend, Nina. Kerri works for Middle Mutts! 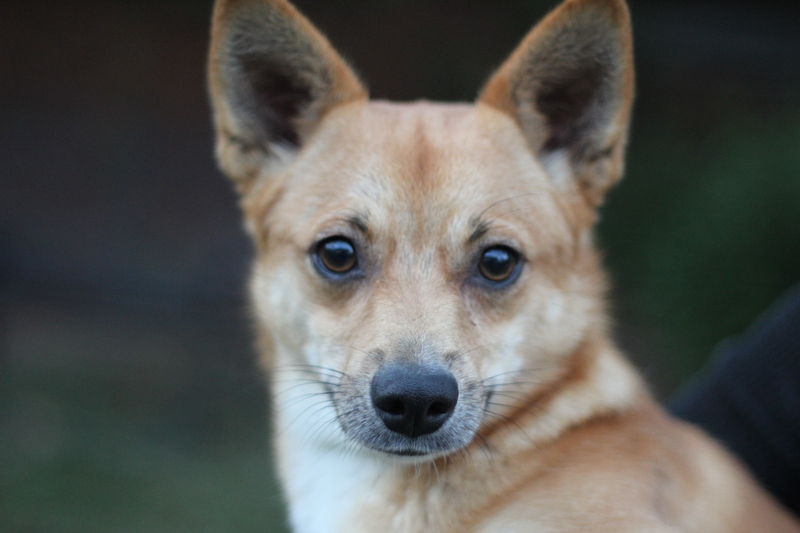 Meet Chester Carlisle, a 10 month old Corgi/Pomeranian mix. Carlisle is up-to-date on vaccinations and neutered. 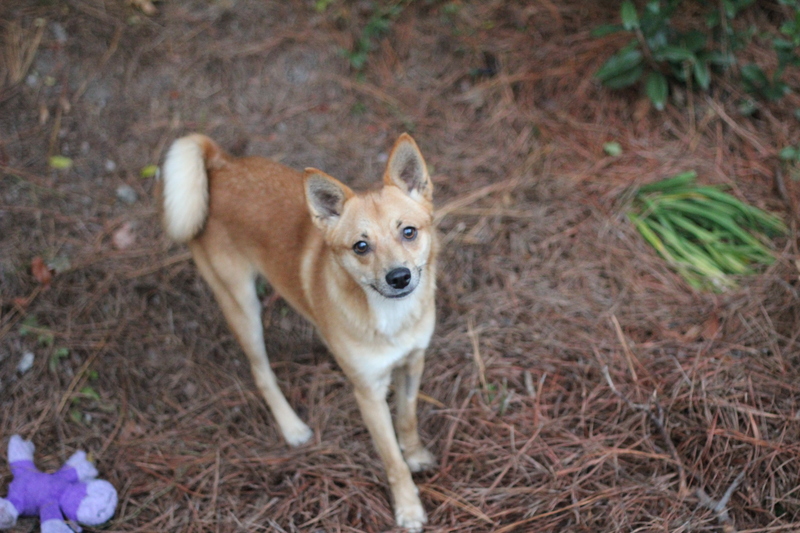 And, yes, he looks very much like a fox. And, yes, that’s how I plan to pass him off if any animal control officers come knocking on my door. Carlisle is a friendly playful guy, who plays a mean game of fetch. He’s smart too. Foxy smart. When I stopped at my parents’ house on the way back to Columbia, I put the new fosters in the one area of fenced in yard — the family cemetery. Mom had given me strict instructions NOT to come home with any additional fosters, so I thought I’d just leave them, unseen, in the family cemetery until I was ready to go. I drove into my parents’ garage with an empty car. All was well, until we saw Carlisle running around the front yard. Apparently, he had jumped onto a bench and then over the fence. He wasn’t interested in running off, though. He was interested in running into the nice, heated house. Ah well. We think the name Carlisle fits him perfectly. It’s a fancy name, for a fancy fox of a guy, with a curly tail. 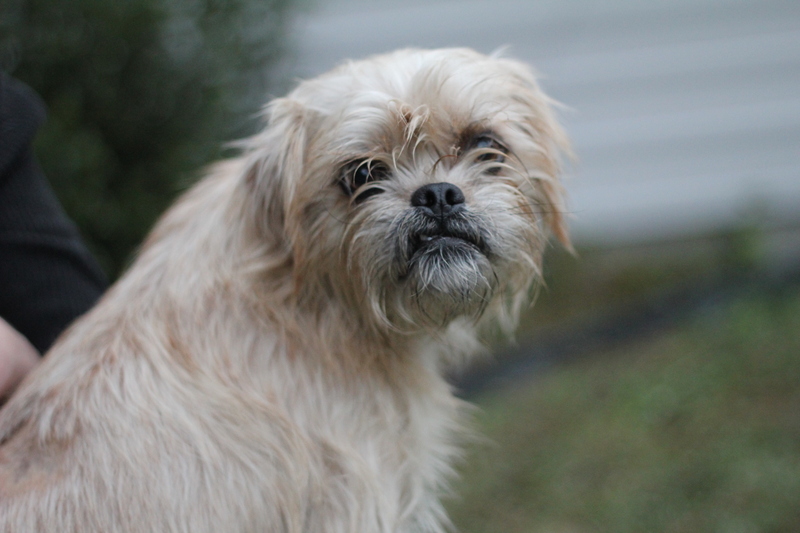 And meet Chester Dewey, a 3 year old Pekingese/Border Terrier mix. Dewey is up-to-date on vaccinations and neutered. And, yes, he has a bit of an under-bite, which makes his smile a little crooked. But, as you can see from the close-up, he’s still an adorable little guy. And I don’t know his story, but I’m sure he was cared for at some point. He seems completely trained. He walks well on a leash and sits on command. And he hasn’t had a potty accident yet, though past experience has taught me never to promise that an animal is house-trained. See #3 of the “Top Ten Memorable Mishaps” blog post for details. He also plays a mean game of fetch. 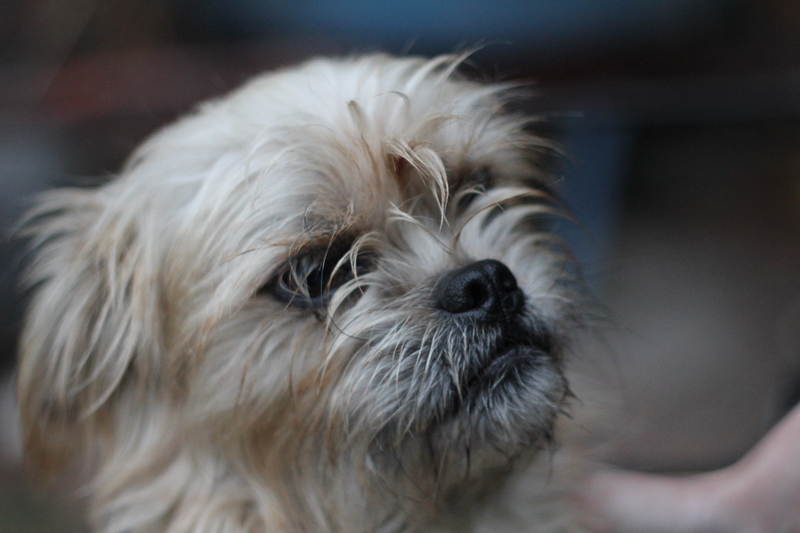 If you’d be interested in adopting or fostering Carlisle and/or Dewey, send me a message!